This recipe is not particular related to the Danish or Nordic kitchen. However, this is just one of my favorite recipes which is why I want to share it with you. This recipe does not have a special taste or anything out of the ordinary. 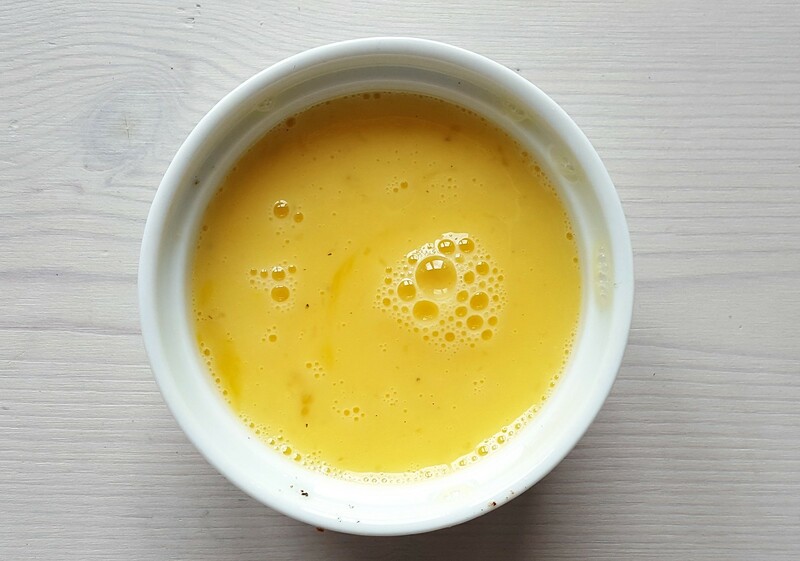 It is just so simple to make, it only takes 5 minutes and requires four different ingredients; eggs, milk, salt and pepper. It is just super simple. 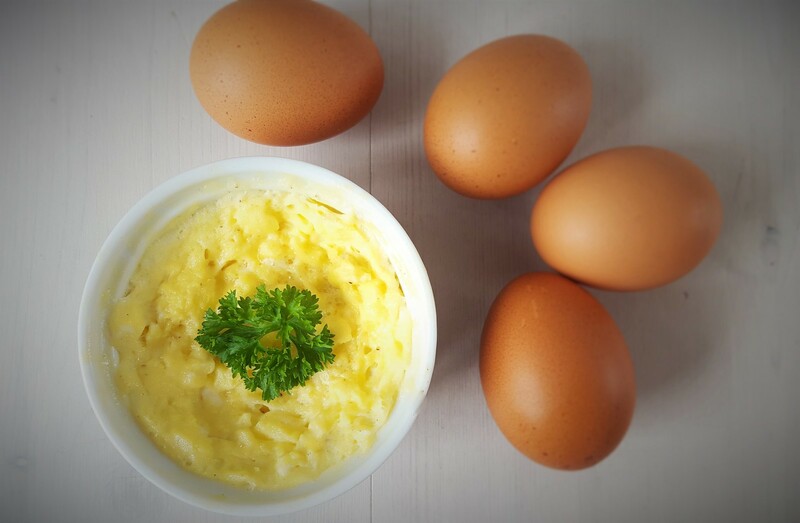 I would like to show you how to make the fastest and most simple scrambled eggs using a microwave oven. 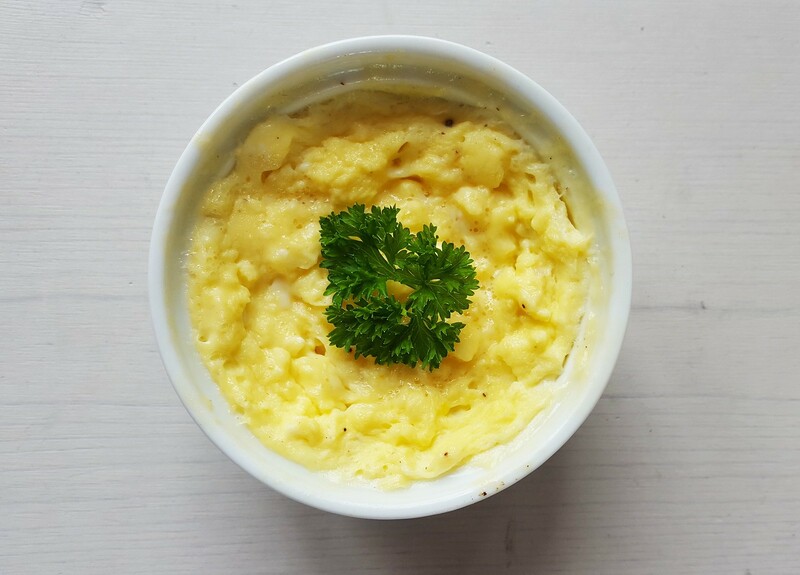 Since I have learned that the microwave can be used to easily cook some delicious scrambled eggs, I have made this dish many times. Especially, in the weekends where I want to quickly make some extra delicious breakfast. 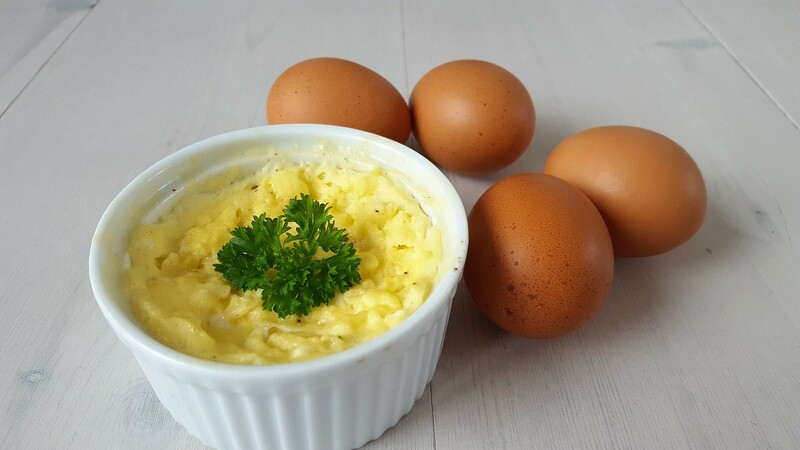 This is, to day, my absolute favorite way of making scrambled eggs if I am cooking for 1-2 persons. Scrambled eggs for more than 2 people I will recommend the ‘old’ method using the stove and a normal frying pan. The instructions are really simple. 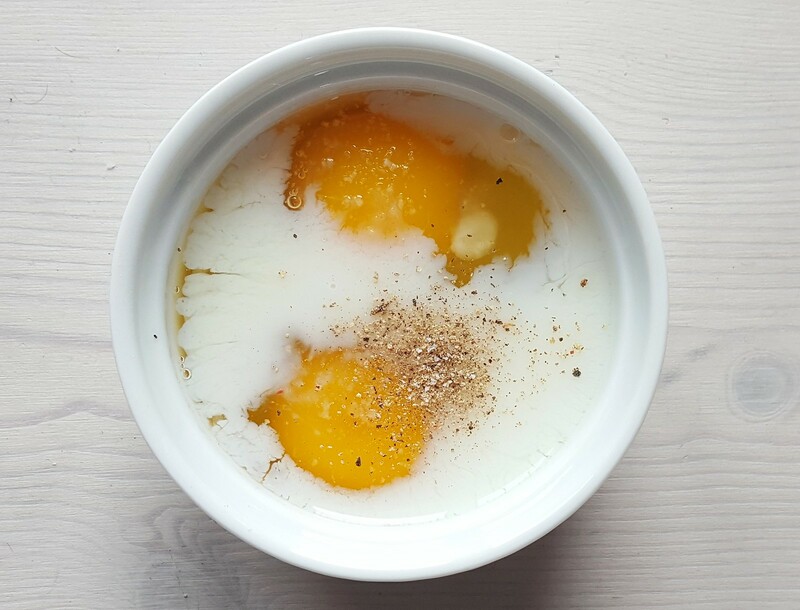 In a microwave proof bowl or cup; you simply just whisk together a couple of eggs with a little milk, salt and pepper. Then you cook everything at full power for about 3-4 minutes. The total cooking time depends on the quality and maximum power of your microwave. So the first time you follow this recipe, keep an extra eye on the eggs while cooking them. Half way through the cooking time you should stir in the eggs a little bit. 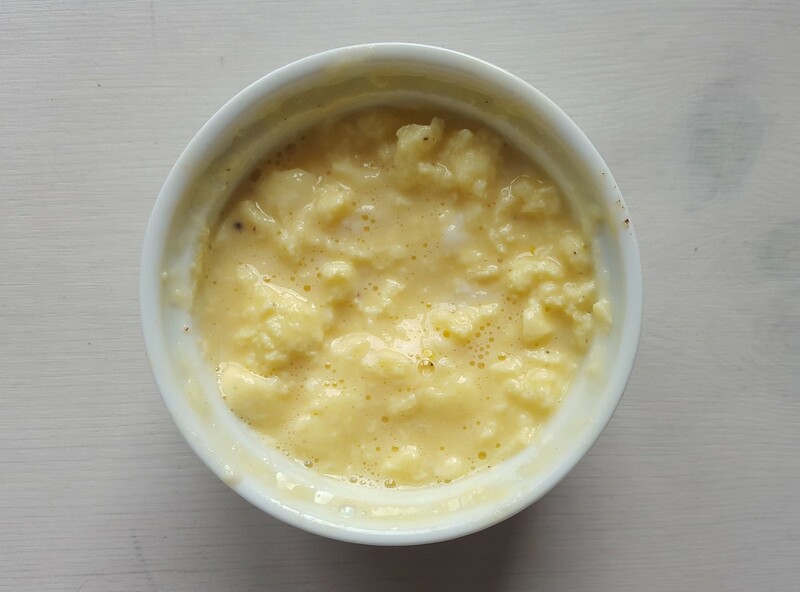 This is the most simple way of making scrambled eggs, with eggs and milk as the two main ingredients. However, you can easily make this dish much more interesting. 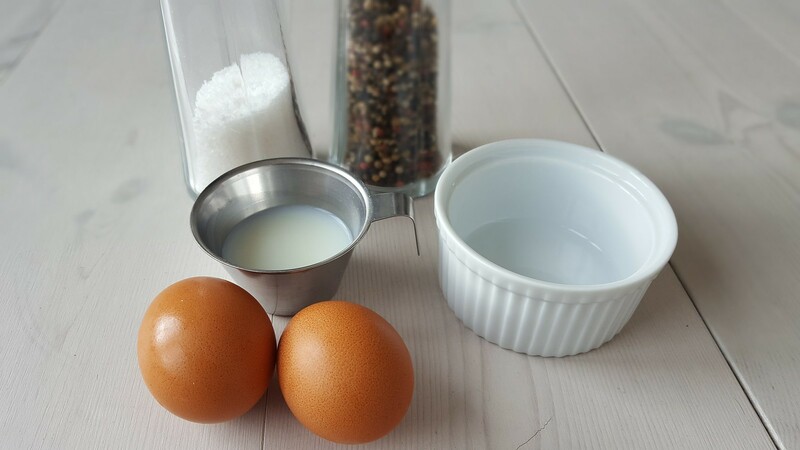 Before you cook the eggs you can add all kinds of extra delicious ingredients to the egg mixture. I can personally recommend adding diced ham, crisp bacon, diced tomatoes, grated cheese, all kinds of different herbs and so on. It is basically only your imagination that are the limit. If you find some extra delicious combinations I would love to hear about them in the comment section below. 1. 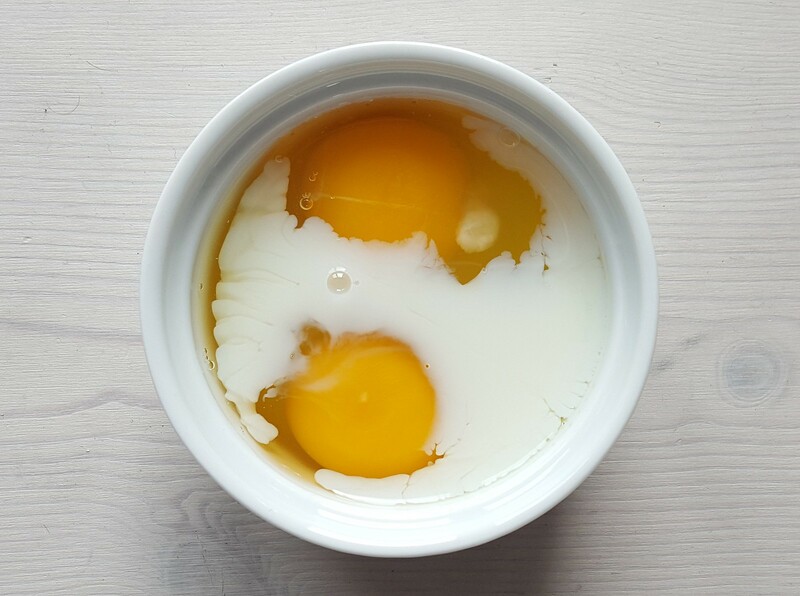 In a microwave proof bowl or cup; beat the two eggs. 2. Add milk, salt and pepper. Use a fork to mix all the ingredients. 3. Place the bowl in the microwave and cook it for about 1 1/2 minutes. 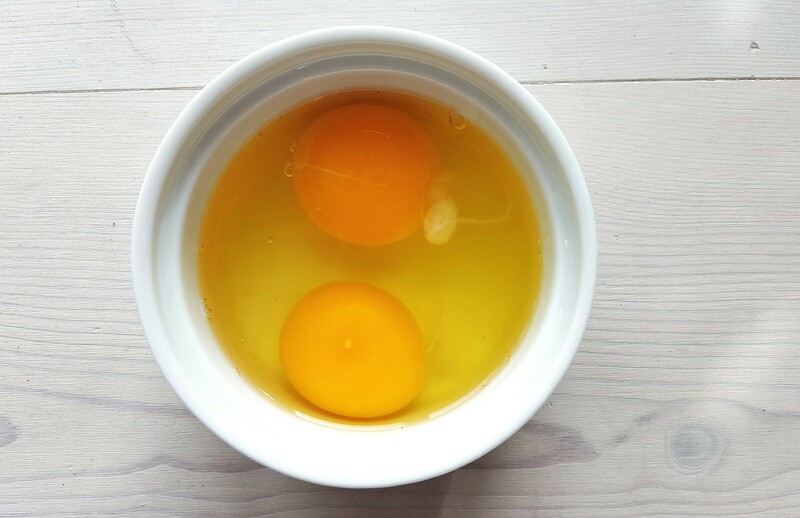 Stir in the eggs and cook for an extra 1 minute. 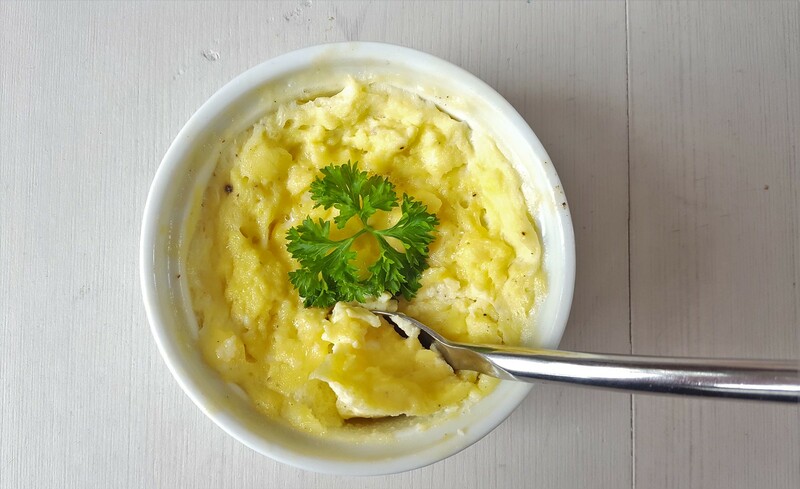 The total cooking time is very depended on the quality and power of the microwave oven – observe the cooking process regularly the first time you make this dish. I made the scrambled eggs this morning and it was delicious!